ePolitixDesign was commissioned by Cardiff Labour Group to support our Local Election 2017 campaign. 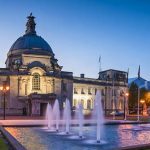 Their intelligent approach was in my view one of the reasons that Cardiff Labour was able to return a majority administration. I’m convinced they provided the strategic support which delivered 3 to 5 extra seats, and hence the majority for Cardiff Labour. I could not praise their work highly enough. With over ten years' experience within the Labour Party and a #1 Google ranking, ePolitixDesign is the UK’s leading Digital Marketing agency for Labour members in office. We believe in offering you an unrivalled service, one that supports you every step of the way. If you would like us to work on your next Labour project, please get in touch, we would love to hear from you. You can complete the form here, or email us at [email protected] . © 2019 ePolitixDesign.co.uk | Labour Party | Web Design | United Kingdom | Westminster | House of Commons | National Assembly for Wales (NAFW) | Scottish Parliament | Northern Ireland Assembly. All Rights Reserved. ePolitixDesign.co.uk. ePolitixDesign is not affiliated to the Labour Party and provides services exclusively to Labour Party members, politicians and groups across the UK.